Suicide Squad is a 2016 American superhero film based on the DC Comics supervillain team of the same name, distributed by Warner Bros. Pictures. It is the third installment in the DC Extended Universe (DCEU). The film is written and directed by David Ayer and stars an ensemble cast including Will Smith, Margot Robbie, Jay Hernandez, Jai Courtney, Adewale Akinnuoye-Agbaje, Joel Kinnaman, Cara Delevingne, Karen Fukuhara, Viola Davis, Ike Barinholtz, Scott Eastwood, and Jared Leto. In Suicide Squad, a secret government agency led by Amanda Waller recruits imprisoned supervillains to execute dangerous black ops missions and save the world from a powerful threat in exchange for reduced sentences. By February 2009, a Suicide Squad film was in development at Warner Bros. Ayer signed on to write and direct in September 2014, and by October, the casting process had begun. Principal photography began in Toronto, Ontario on April 13, 2015, with additional filming in Chicago, Illinois, and ended in August that year. Suicide Squad premiered in New York City on August 1, 2016 and was released in the United States in 2D, Real D 3D, IMAX, and IMAX 3D on August 5, 2016. Following a strong debut that set new box office records, the film grossed over $746 million worldwide, making it the 10th highest-grossing film of 2016. It received generally negative reviews from critics, who criticized the plot, direction, editing, and characters, though Robbie's performance received praise. The film was nominated for and won multiple awards across various categories, including an Oscar for Best Makeup and Hairstyling at the 89th Academy Awards, making it the first film in the DCEU to win an Academy Award. A follow-up directed by James Gunn, The Suicide Squad, is scheduled for release on August 6, 2021, with Robbie, Kinnaman, Davis, and Courtney reprising their roles and Idris Elba joining the cast. In the one-year aftermath of Superman's death,[N 1] intelligence officer Amanda Waller convinces Washington D.C. officials to allow her to assemble Task Force X, a team of dangerous criminals imprisoned at Belle Reve Special Security Barracks. The team consists of elite hitman Floyd Lawton, former psychiatrist Harleen Quinzel, pyrokinetic ex-gangster Chato Santana, opportunistic thief George "Digger" Harkness, genetic mutant Waylon Jones, and specialized assassin Christopher Weiss. They are placed under command of Colonel Rick Flag to be used as disposable assets in high-risk missions for the United States government. A nanite bomb is implanted in the neck of each team member, designed to detonate should the member rebel or try to escape. One of Waller's intended recruits is Flag's girlfriend Dr. June Moone, an archaeologist possessed by a demonic witch known as the "Enchantress". She quickly turns on Waller, deciding to eradicate humankind with a mystical weapon for imprisoning her. She besieges Midway City by transforming its populace into a horde of monsters, and summons her brother Incubus to assist her. Waller then deploys the squad to extract a high-profile mark from Midway, which is reported to be under a terrorist attack. Joining them is Katana, a Japanese swordswoman. Harley's homicidal lover Joker finds out about her predicament and tortures Belle Reve security officer Griggs into leading him to the facility where the nanite bombs are made. There, he blackmails Dr. Van Criss into disabling Harley's bomb. Upon arrival, the squad's helicopter is shot down, forcing them to proceed on foot to their target. Boomerang inaccurately convinces Slipknot that the bombs are a ruse to keep them in check, who attempts to escape and is killed. Meanwhile, the squad is ambushed by Enchantress' minions. They eventually fight their way through to a safe house, where they learn that their mark is Waller herself, who is attempting to cover up her involvement in Enchantress' siege. The squad escorts Waller to the rooftop for extraction, but the arriving helicopter has been hijacked by the Joker and his men, who open fire on the squad. Harley's bomb is disarmed by Dr. Van Criss, leaving Flag unable to execute her and allowing her to climb aboard the helicopter. Waller's men subsequently shoot down the helicopter, and Harley falls out while the Joker is presumed dead, after which Harley rejoins the squad. Alerted to Waller's whereabouts, Enchantress' minions arrive and kidnap her. Deadshot finds Waller's confidential files, from which he learns the truth about Enchantress, which Flag then is forced to confirm. This causes the squad members to abandon him. With Waller compromised, Flag relieves the squad of the mission but chooses to continue. Realizing they have an opportunity to prove themselves, they soon rejoin him and locate Enchantress at a partially-flooded subway station. Killer Croc and a group of Navy SEALs, led by Lieutenant GQ Edwards, go underwater to plant a bomb underneath Incubus. El Diablo embraces his abilities and distracts Incubus long enough for the bomb to detonate underneath, killing them both as well as Edwards. The remaining squad members battle Enchantress together but are ultimately defeated. Enchantress offers to fulfill their deepest desires in exchange for their allegiance, and Harley feigns interest in order to get close enough to cut out Enchantress' heart. Killer Croc then throws explosives into Enchantress' weapon and Deadshot shoots them, destroying the device. Flag takes Enchantress' heart and crushes it, finally freeing June from the curse. Waller, still alive, emerges, and the squad members are returned to Belle Reve with ten years off their sentences. All but Captain Boomerang are allowed special privileges. The Joker, alive and unscathed, breaks into the penitentiary and rescues Harley. In a mid-credits scene, Waller meets with Bruce Wayne, who agrees to protect her from the backlash against her role in Enchantress' rampage in exchange for access to the government's files on the expanding metahuman community. Waller then advises him to stop working late nights, to which Bruce answers her to shut down Task Force X or else he and his "friends" will do it. An expert marksman and assassin. A mercenary by day and a concerned father by night, Deadshot is a conflicted criminal who enjoys the hunt, but still tries to do right by his young daughter. Smith was simultaneously offered to appear in Suicide Squad and Independence Day: Resurgence, the sequel to Independence Day which he starred in. Smith opted to portray Deadshot, saying that the choice was "nothing about the qualities of the movie - but the choice of trying to go forward versus clinging and clawing backwards". A psychopathic crime boss and the nemesis of Batman. Leto described his role as "nearly Shakespearean" and a "beautiful disaster of a character"; about portraying the villain, he stated, "I took a pretty deep dive. But this was a unique opportunity and I couldn't imagine doing it another way. It was fun, playing these psychological games. But at the same time it was very painful." Leto never broke character throughout filming, with Smith going as far as stating he never met him. In preparation for the role, Leto spent his time alone, listened to gospel music from the 1920s—commenting he senses "Joker may be much older than people think"—and read literature on shamanism. Influences for the character's appearance include Mexican cartel bosses and the work of Alejandro Jodorowsky. Leto stated that he spoke with doctors and spent time with psychopaths in preparation for his role. The Joker's tattoos were added by Ayer, who believed it gave the character a modernized gangster look. A crazed criminal and former psychiatrist. Producer Richard Suckle described the character as, "a fan fave. Funny, crazy, scary. ... You can't come up with enough adjectives to describe all the different things you see her do." Robbie described Quinn as one of the Squad's most manipulative members, and her relationship with Joker as "incredibly dysfunctional", adding that Quinn is, "mad about him—like, literally, mad. She's crazy. But she loves him. And it's a really unhealthy, dysfunctional relationship. But an addictive one." A West Point graduate and Army Special Forces colonel who leads the Suicide Squad in the field. He is all business and executes Amanda Waller's orders but does not always agree with her goals or methods. Tom Hardy was previously cast in the role but was forced to drop out because of scheduling conflicts. The government official who gives out the Squad's orders. Ambitious and devious, she has big plans and intends to let no metahuman or military protocol get in her way. Davis stated she is fascinated by the character, singling out her psychology and strength and describing her as a "powerful black woman, hard, ready to pick up a gun and shoot anyone at will." She described Waller as "relentless in her villainy" and noted that her powers are "her intelligence and her complete lack of guilt." Davis read M.E. Thomas' autobiography Confessions of a Sociopath to prepare for her role. A thief who uses deadly boomerangs, described as rugged, unpredictable and mouthy. About his role, Courtney stated, "he is an absolute bogan, in the purest sense. David Ayer's first instruction was, 'find your inner shitbag'." A former Los Angeles gang member who has powers that allow him to summon flames, and transform himself into a monstrous fire demon-like entity. He has squelched his fire-conjuring powers to a solitary flame as penance for the horrors he inflicted on those he loved. Hernandez set his character apart from his teammates as he "just wants to stay out of the fight", while "most of [the Squad members] are happy to get out there and kill people". A cannibalistic criminal who suffers from a regressive atavism which caused him to develop reptilian features. Being a meta-human, he possesses near superhuman strength, high endurance, and the capacity to breathe underwater. His skin allows him to withstand high caliber weapons and skin abrasion. Akinnuoye-Agbaje described the character as "a cannibal with rage issues". An archaeologist who is possessed by an ancient evil force that transforms her into a host of a powerful sorceress, when summoned. Unleashed after a long period of imprisonment, the entity draws the attention of Waller. Delevingne described Moone as "an adventure-seeker who’s always wanted some excitement" and Enchantress as "a feral being." Intended to be a recruit for the squad, Enchantress instead seeks revenge against mankind for imprisoning her and her brother's souls in artifacts after years of worshipping them. An expert martial artist and swordswoman who mourns her husband's death. She serves as Rick Flag's bodyguard and wields the mystical Soultaker blade, capable of trapping the souls of its victims. As she is a volunteer, not a criminal, she does not have a micro-bomb implant. Fukuhara stated that Katana "has morals and codes. She can also slice through hundreds of people without taking a breath." An officer at Belle Reve's Special Security Barracks, the black site where the government imprisons the squad. A Navy SEAL Lieutenant who assists Flag during the squad's mission. After working with actor Shia LeBeouf on Fury, Ayer originally sought him out for the role, but the studio was not interested in the actor. Adam Beach as Christopher Weiss / Slipknot: A mercenary specializing in tactical grappling and scaling. Additionally, Ben Affleck appears as Bruce Wayne / Batman, and Ezra Miller appears as Barry Allen / The Flash, reprising their roles from Batman v Superman: Dawn of Justice in cameo roles; while Jason Momoa makes a brief photographic appearance as Arthur Curry / Aquaman. Alain Chanoine portrays Incubus, the brother of Enchantress, who possesses the body of a businessman in Midway City in order to have a physical form. Jim Parrack and Lonnie "Common" Lynn appear as the Joker's henchmen, Jonny Frost and Monster T, respectively. David Harbour portrays government official Dexter Tolliver, Alex Meraz portrays Navy SEAL Gomez, and Matt Baram portrays Dr. Van Criss, a scientist at Wayne Enterprises' branch Van Criss Laboratories. Shailyn Pierre-Dixon plays Zoe Lawton, Deadshot's daughter, and Corina Calderon plays Grace Santana, Diablo's wife. David Ayer, writer and director of the film, makes a cameo appearance as a Belle Reve officer. The film was announced in 2009 with Dan Lin as producer, Stephen Gilchrist as co-producer and Justin Marks as the screenwriter. David Ayer signed on to direct and write the film in September 2014. He later described the film to Empire Online as "Dirty Dozen with supervillains". Ayer had six weeks to write the screenplay, given the release date was already set. In October 2014, Warner Bros. had initially offered Ryan Gosling, Tom Hardy, Margot Robbie, and Will Smith roles in the film. In November, TheWrap revealed that Jared Leto was in talks for the role of Joker, for which Gosling was originally sought. The main cast was announced by Warner Brothers in December 2014 with Smith, Hardy, Leto, Robbie, Jai Courtney, and Cara Delevingne as Deadshot, Rick Flag, Joker, Harley Quinn, Captain Boomerang, and Enchantress, respectively. The studio was also considering Viola Davis, Octavia Spencer, and Oprah Winfrey for the role of Amanda Waller. Following the announcement of the cast, comic book writer John Ostrander (creator of the modern incarnation of the Suicide Squad) talked with Comic Book Resources about the casting, saying, "I have no problem with the casting... what I am really impressed by with all of the casting is that they are getting some very good actors to play these parts." In January 2015, Davis expressed interest in playing Amanda Waller during an interview, saying "I'm fascinated by [Waller]." Meanwhile, Tom Hardy had to drop out as Rick Flag because of scheduling issues with his film The Revenant. Jake Gyllenhaal was then given an offer to replace Hardy as Flag, but he declined. The studio was then looking at Joel Edgerton, Jon Bernthal, and Joel Kinnaman to play the role. In February, Jay Hernandez joined the cast and Kinnaman was also confirmed to play Flag. At the 87th Academy Awards, Davis confirmed that she had been cast as Amanda Waller. In March 2015, boxer Raymond Olubawale was reported to have an unspecified role in the film, and Scott Eastwood announced that he had been cast. Later that month, it was confirmed that Adewale Akinnuoye-Agbaje and Karen Fukuhara had been cast as Killer Croc and Katana, respectively. Adam Beach, Ike Barinholtz, and Jim Parrack were added to the cast in April 2015. In January 2016, Ben Affleck was confirmed to reprise his role as Batman from Batman v Superman: Dawn of Justice. Filming began on April 13, 2015 in Toronto. On April 26 and 27, filming took place at Hy's Steakhouse. A "snowstorm" scene was filmed on April 29 on Adelaide St. and in Ching Lane. On May 5, a few major scenes were filmed in downtown Toronto next to Yonge and Dundas Square. Principal photography wrapped in August 2015 after additional filming took place in Chicago, Illinois. Additional filming ensued in 2016 following Warner's desire to make a more lighthearted and comedic tone akin to the trailers, especially as Batman v Superman: Dawn of Justice was criticized for being too somber; it was reported the reshoots cost as much as $22 million (more than the typical $6–10 million that additional filming costs). It was also confirmed that Zack Snyder filmed a scene with the Flash while shooting Justice League in London, while Ayer was in post-production on Suicide Squad. Ayer confirmed that the film was completed on June 24, 2016. Despite the involvement of multiple editors in the process, only John Gilroy is named in the main credit sequence. It was later revealed that many of Jared Leto's scenes were omitted from the final cut. An interview with Leto revealed that he was upset over the removal of his work. Academy Award-winning composer Steven Price, who previously worked with Ayer on Fury, composed the score for Suicide Squad. Suicide Squad: Original Motion Picture Score was announced for a release date of August 8, 2016. A soundtrack album for the film, titled Suicide Squad: The Album, was announced in June 2016, and released on August 5, 2016. The album's first single, "Heathens" by Twenty One Pilots, was released on June 20, 2016. A music video for the song, set in a prison and featuring footage from the film, was released on June 21. "Sucker for Pain" was released as the second single on June 24. The album's third single, "Purple Lamborghini" by Skrillex and Rick Ross, was released on July 22. "Gangsta" by Kehlani; "Standing in the Rain" by Action Bronson, Mark Ronson, and Dan Auerbach of The Black Keys; "Medieval Warfare" by Grimes; and a cover of Queen's "Bohemian Rhapsody" performed by Panic! at the Disco were released as four promotional singles on August 2, August 3, and August 4, 2016 respectively, with "Medieval Warfare" and "Bohemian Rhapsody" being released on the same day. Suicide Squad premiered at the Beacon Theatre in New York City on August 1, 2016. The subsequent London premiere took place on August 3, 2016. It was theatrically released in the United States and in the UK on August 5, 2016, in 2D, 3D and IMAX 3D. Suicide Squad held a panel at the 2015 San Diego Comic-Con International, with stars Smith, Robbie, Courtney, Davis, and Kinnaman among those who appeared. A trailer intended to be exclusive to the event premiered, but was leaked online, with Warner Bros. responding by stating they would not release an official version. However, the following day, Warner Bros. released an official version, stating: "Warner Bros. Pictures and our anti-piracy team have worked tirelessly over the last 48 hours to contain the Suicide Squad footage that was pirated from Hall H on Saturday. We have been unable to achieve that goal. Today we will release the same footage that has been illegally circulating on the web, in the form it was created and high quality with which it was intended to be enjoyed. We regret this decision as it was our intention to keep the footage as a unique experience for the Comic-Con crowd, but we cannot continue to allow the film to be represented by the poor quality of the pirated footage stolen from our presentation." Suicide Squad was released on Digital HD on November 15, 2016, and on Blu-ray, 4K Ultra-HD Blu-Ray, Blu-Ray 3D, and DVD on December 13, 2016. An extended cut of the film is included in the home entertainment release, containing roughly thirteen minutes of footage absent from the theatrical version. Suicide Squad was a box office success, grossing $325.1 million in the United States and Canada and $421.7 million in other territories for a worldwide total of $746.8 million, against a production budget of $175 million ($325 million including advertising and promotion costs). Suicide Squad was highly anticipated by audiences worldwide, despite the negative critical reception and lower-than-expected box office performance of Batman v Superman: Dawn of Justice in March. It recorded a worldwide opening of $267.1 million from 59 countries and IMAX global debut of $18.2 million, both set new records for the month of August. That is also the second-best debut worldwide for a DC property after Dawn of Justice ($422.5 million) and the seventh best for a superhero title. The Hollywood Reporter highlighted that Dawn of Justice had an advantage of receiving a coveted day-and-date release with China, while Suicide Squad did not secure a release date in the country. Forbes pointed out that had the film secured a release in China, it may well have matched or topped the $773 million total of Guardians of the Galaxy and the $782 million gross of Deadpool. Deadline Hollywood calculated the net profit of the film to be $158.45 million, when factoring together all expenses and revenues for the film, making it the 10th most profitable release of 2016. Projections for its opening weekend in the United States and Canada were being continuously revised upwards starting from $100 million to as high as $150 million. The film opened across 4,255 theaters, the widest for the month of August. Of that, 382 theaters were in IMAX, over 490 large-format screens locations, 270+ drive-ins, 180+ D-Box locations and over 200 dine-in/luxury theaters. It opened Friday, August 5, 2016, on about 11,000 screens and earned $65.1 million, marking the biggest August opening and single day, and the third biggest opening day gross of 2016. Of that, $5.8 million came from IMAX theaters, also a new August record. This includes $20.5 million it earned from Thursday previews, which began at 6:00 pm, setting the record for biggest-ever preview of August and the second biggest for a non-sequel film (behind Man of Steel). IMAX comprised $2.4 million (12%) of that figure. Much like Batman v Superman and The Dark Knight Rises, however, the film saw a steep Friday-to-Saturday decline, grossing $38.8 million (a drop of 41%). In total, it earned $133.7 million in its opening weekend, setting records for the month of August (previously held by Guardians of the Galaxy) and for Will Smith's career (I Am Legend). It is also the second-biggest debut for a non-sequel, behind The Hunger Games ($152 million), the fourth biggest of the year and the fifth biggest for Warner Bros. IMAX made up $11 million of the opening numbers from 382 theaters, $200,000 shy of breaking Guardians of the Galaxy's record. Nevertheless, it did beat Guardians of the Galaxy's $7.6 million in terms of premium large format screens which comprised $13 million. For Cinemark XD screens, which made $3.2 million, the sixth-highest opening. The opening numbers helped Warner Bros. push past the $1 billion mark in North America for the sixteenth year in a row. The film also helped the total weekend tickets sales to an unprecedented $221.3 million in August. Previously, August has not exceeded $200 million at the box office in a single weekend in North America. Suicide Squad scored a massive debut primarily on the backs of the under-35 set which made up 76% of the opening weekend. Audiences were also diverse, with African-Americans making up 41% of the patrons. Following its record breaking opening weekend, it posted the biggest August Monday gross with $13.1 million, a drop of 56.5% from its Sunday gross. This broke Guardians of the Galaxy's previous record of $11.7 million, and also the biggest August Tuesday with $14.3 million, up 9% from its Monday take. The film has earned the biggest Friday, Saturday, Sunday, Monday and Tuesday in August history. It made $179.1 million in its first week of release, the fourth biggest of the year. Despite earning $13.4 million on its second Friday, the film dropped 79%, slightly less than Batman v Superman's 81% drop. Following a first-place finish in its first weekend of release, the film faced a steep decline of 67.2% in its second weekend, earning an estimated $43.8 million to score the biggest August second weekend gross. It also passed the $200 million mark in ten days and was able to hold the top spot for the second time in a row despite competition from the comedy Sausage Party. However, the drop is one of the biggest declines for a studio superhero film, and for Warner Bros., which The Hollywood Reporter called it "deja vu all over again" after Batman v Superman tumbled 69% in its second weekend earlier in the year. The second weekend decline is the second biggest in summer history, behind Warcraft's historic 70% drop in June of the same year. The site also highlighted possible reasons for the significantly steep drop: dismal reviews, general apathy among moviegoers, altering movie-going habits and competition. After three weeks of holding the top spot, it was overtaken by Don't Breathe on its fourth weekend. It maintained the second spot in its fifth weekend and registered its best hold with a -20% decline while also passing the $300 million threshold on its thirty-second day of release. It remained in the top ten for eight weekends until falling off in its ninth weekend. Internationally, Suicide Squad secured a release in approximately 62 countries. It was released in 57 countries (70% of the marketplace) in conjuncture with its North American debut, including France, South Korea, Australia, Russia and the CIS, Brazil, the United Kingdom, Republic of Ireland, Spain and Mexico beginning from Wednesday, August 3. According to trackings, the film was projected to have an opening anywhere between $85 million to $120 million, which would be a new August international debut record. Deadline Hollywood pointed out that although the film is a lesser known property, similar to Guardians of the Galaxy, stars such as Will Smith are better known internationally, which could potentially aid the film's performance. It opened Wednesday, August 3, 2016, in 7 countries, earning $8.1 million. It opened in 50 more countries on August 4 and 5, earning $53.8 million for a three-day total of $64.6 million from 57 countries. Through Sunday, August 7, it delivered a five-day opening of $133.3 million from 57 countries on 17,630 screens, nearly double the previous August record held by Guardians of the Galaxy. It also set IMAX opening record with $7 million. It added $58.7 million on its second weekend, a drop of 57% on 15,600 screens in 62 territories. After two straight wins, it was overtaken by the animated The Secret Life of Pets in its third weekend. It recorded the biggest opening day of all time for Warner Bros. in Russia ($3.9 million), the biggest August opening day in the United Kingdom ($6.2 million), Brazil ($3 million), South Korea ($2.9 million, also the second biggest Warner Bros. opening day), France ($2.7 million), Sweden ($564,000) and Holland ($517,000, also the biggest opening of the year). Mexico and Spain opened with $3.9 million and $1.4 million respectively. In terms of opening weekend, the film recorded the biggest Warner Bros. opening of all time in Russia ($11.4 million). In Brazil, despite playing amidst the 2016 Summer Olympics, it managed to open with $11.75 million, marking the biggest August opening weekend of all time, the biggest Will Smith opening, and the fourth biggest opening for a superhero film. Its opening numbers alone made it the second biggest film for the studio there. In South Korea, although the film was off to a strong start, however, it was eventually overtaken by The Last Princess and Operation Chromite debuting at No. 3. It made $10.8 million in five days (Wednesday to Sunday). The U.K. and Ireland posted the biggest opening market for the film with £11.25 million ($14.8 million) from 573 theaters. Discounting previews, it delivered the third-biggest UK opening of the year, behind Batman v Superman: Dawn of Justice (£14.62 million) and Captain America: Civil War (£14.47 million). It also became the first new released film of August since 2014 to debut above £3 million. Elsewhere, it scored the biggest August opening in Australia ($10.5 million), Mexico ($10.4 million) and Argentina ($2.5 million), while in Spain, it recorded the biggest DC opening with $3.4 million, where it was behind The Secret Life of Pets for the weekend and France a $7.9 million opening. It opened in first place in India for a non-local film with $1.8 million from 462 screens, despite facing competition from Jason Bourne ($1.1 million from 1,027 screens) which also opened on the same weekend. Despite the later film occupying twice the screen number of the former, Suicide Squad managed to take the top spot. Italy opened with an estimated $2.2 million in two days, that's the biggest opening for Smith there. It opened in first place in Germany with $6.9 million. It opened in Japan – the film's last market – on September 9 where it debuted with $3.8 million. It finished in second spot (and first among new releases) behind local anime Your Name. With such a robust opening, Variety projected that the film would end its run there around $20 million. It has so far grossed $9.4 million there. In terms of total earnings, its biggest market outside of North America is the UK ($43.3 million), followed by Brazil ($35.1 million) and Mexico ($27.1 million). In two weeks, it became the second-highest-grossing Warner Bros. film of all time in Brazil behind Dawn of Justice. Director/writer David Ayer later stated that he would have done elements of Suicide Squad differently. Suicide Squad received negative reviews from critics. On Rotten Tomatoes, the film has an approval rating of 27% based on 355 reviews, with an average rating of 4.81/10. The site's critical consensus reads, "Suicide Squad boasts a talented cast and a little more humor than previous DCEU efforts, but they aren't enough to save the disappointing end result from a muddled plot, thinly written characters, and choppy directing." On Metacritic, the film has a normalized score of 40 out of 100, based on 53 critics, indicating "mixed or average reviews". Audiences polled by CinemaScore gave the film an average grade of "B+" on an A+ to F scale, while PostTrak reported filmgoers gave it a 73% overall positive score. Rolling Stone's Peter Travers wrote, "DC Comics tries something different with Suicide Squad, an all-star collection of crime fighting villains—and the result is anything but super." Richard Lawson of Vanity Fair said, "Suicide Squad is just bad. It's ugly and boring, a toxic combination that means the film's highly fetishized violence doesn't even have the exciting tingle of the wicked or the taboo." Writing for The Wall Street Journal, Joe Morgenstern heavily criticized the film saying, "In a word, Suicide Squad is trash. In two words, it's ugly trash." He further said, it "amounts to an all-out attack on the whole idea of entertainment," and called the film a product of "shameless pandering". Chris Nashawaty of Entertainment Weekly gave the film B− saying, "Suicide Squad kicks off with fizzy, punk-rock ferocity before turning flat and spiraling into familiar formulas," and called Jared Leto's "scene-stealing" Joker "wasted" and "stranded in the periphery". He concluded by saying, "For DC, Suicide Squad is a small step forward. But it could have been a giant leap." IGN gave the film 5.9/10, saying: "Suicide Squad is a decidedly different flavor than Batman v Superman. It goes for subversive, funny and stylish, and it succeeds wildly during the first act. But then the movie turns into something predictable and unexciting." Drew McWeeny from HitFix gave it a positive review, writing "Suicide Squad is not the darkest mainstream superhero comic book movie ever made, nor is it even the darkest live-action film featuring Batman ever made. However, it is gleefully nihilistic, and it takes a different approach to what has become a fairly familiar story form at this point, right at the moment when it feels like superhero movies either have to evolve or die." Brian Truitt from USA Today wrote, "Compared to its ilk, Suicide Squad is an excellently quirky, proudly raised middle finger to the staid superhero-movie establishment." Margot Robbie's performance as Harley Quinn was better received, with many critics eager to see more of the character in future films. 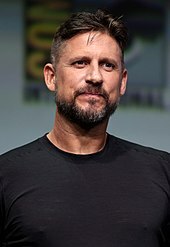 In January 2017, David Ayer later said he wished he had done certain things differently in the film including story elements, as well as giving more screen time to the Joker. Suicide Squad was nominated for various awards, winning several. The film was nominated for three Grammy Awards as well as one Critics' Choice Movie Awards (winning one), seven People's Choice Awards (winning one) and received multiple Teen Choice Awards nominations, including "Choice AnTEENcipated Movie", "Choice Movie Actor: AnTEENcipated" for Will Smith and Scott Eastwood, and "Choice Movie Actress: AnTEENcipated" for Margot Robbie and Cara Delevingne. It won in both the former and latter categories. The film won an Academy Award for Best Makeup and Hairstyling at 89th Academy Awards, making it the first film in the DC Extended Universe to win an Academy Award. The film's mid-credit scene leads to the 2017 film Justice League. After the release and financial success of Suicide Squad, Warner Bros. and DC Films announced multiple films being developed featuring Margot Robbie reprising her role as Harley Quinn, including: Suicide Squad 2, Gotham City Sirens, Birds of Prey, and an untitled film centered around Quinn and the Joker. Various sources report that the studios plan on featuring the anti-heroine in a trilogy of films for the character's first story-arc. The Suicide Squad was announced with intention that David Ayer would return as director from the first film. Ayer left the project to work on Gotham City Sirens instead. This followed with Gavin O'Connor hired as co-screenwriter-director, while production was originally slated to begin October 2018, though the script's similarities to Birds of Prey led to principal photography delays. James Gunn was later hired to re-write the screenplay. It is scheduled to be released on August 6, 2021. It was also announced that Gunn will direct the film. Although it will take place within the DCEU and will serve as a follow-up, it will not be a direct sequel, but a "relaunch" of the franchise, with a team of mostly new characters. In February 2019, Margot Robbie was confirmed to reprise her role as Harleen Quinzel / Harley Quinn. In March 2019, The Hollywood Reporter announced that Idris Elba was cast as Deadshot, replacing Will Smith who dropped out due to scheduling conflicts. Peter Safran, who produced Aquaman and Shazam!, stated that the film will be more of a soft reboot than a sequel with mostly new characters in the film. Production is scheduled to begin later that year in September in Atlanta, Georgia. The Suicide Squad is scheduled to be released on August 6, 2021. On March 29, 2019, it was reported that Jai Courtney will reprise his role as George "Digger" Harkness / Captain Boomerang, while on April 5, it was reported that the character of Deadshot was removed from the film and that Elba would be playing a different character instead. That same day, it was also reported that both Viola Davis and Joel Kinnaman will reprise their roles as Amanda Waller and Rick Flag. Birds of Prey was announced to be in development with a script by Christina Hodson. The film will feature Quinn, after leaving the Joker, teaming up with other anti-heroines to protect Cassandra Cain from Gotham City crime boss Roman Sionis / Black Mask. Cathy Yan serves as director, with principal photography lasting from January through April 2019. Gotham City Sirens will be directed by David Ayer, with a script from Geneva Robertson-Dworet. The project was originally scheduled to begin production mid-2017, though the film was delayed due to the production team's busy schedules on other projects, and in favor of Birds of Prey. Despite the project's delay, Ayer has continued to work on developing the film. The untitled Harley Quinn and the Joker film was announced, with filmmaking duo Glenn Ficarra and John Requa attached as co-writers/-directors/-producers. By October of 2018 the script was completed, and though the project was originally intended to begin production immediately after Suicide Squad 2, the filmmakers have since stated that production would begin once filming on Birds of Prey has wrapped. However, it was reported in February 2019 that the film, along with other planned Joker films featuring Jared Leto, were shelved. ^ As depicted in the 2016 film Batman v Superman: Dawn of Justice. ^ "Suicide Squad (2016)". British Board of Film Classification. July 26, 2016. Archived from the original on July 28, 2016. Retrieved July 28, 2016. ^ a b Rottenberg, Josh (August 1, 2016). "The pressures behind 'Suicide Squad,' the DC Comics movie that Warner Bros. needs to work, and work big". Los Angeles Times. Retrieved August 1, 2016. ^ a b "Suicide Squad (2016)". Box Office Mojo. Retrieved December 20, 2017. ^ Holmes, Adam. "New Suicide Squad Video Shines The Spotlight On Will Smith's Deadshot". CinemaBlend. ^ a b c d Kroll, Justin (December 2, 2014). "'Suicide Squad' Cast Revealed: Jared Leto to Play the Joker, Will Smith is Deadshot". Variety. Archived from the original on June 26, 2015. Retrieved July 12, 2015. ^ a b c d e f Hawkes, Rebecca (May 26, 2015). "Suicide Squad: everything you need to know". The Daily Telegraph. Archived from the original on June 6, 2015. Retrieved July 12, 2015. ^ a b c d e f "'Suicide Squad': Meet the Roster of Rogues". Entertainment Weekly. July 8, 2016. Retrieved July 10, 2016. ^ Stolworthy, Jacob (December 13, 2016). "Will Smith explains why he chose Suicide Squad over Independence Day 2". The Independent. Retrieved January 7, 2018. ^ de Semlyen, Nick (December 2015). "Superbad". Empire. pp. 64–73. ^ Sperling, Nicole (April 15, 2016). "Jared Leto dives deep to play The Joker in Suicide Squad". Entertainment Weekly. Archived from the original on April 17, 2016. Retrieved April 17, 2016. ^ Evry, Max (July 20, 2016). "Harley Quinn Suicide Squad Promo Gives You the Giggles". superherohype.com. ^ a b c d e De Semlyen, Phil (October 29, 2015). "New Suicide Squad Images: Killer Croc And Amanda Waller". Empire. Accessed October 30, 2015. ^ "Margot Robbie explains why Harley Quinn is the most manipulative member of the 'Suicide Squad'". Los Angeles Times. April 13, 2016. Retrieved April 17, 2016. ^ Beedle, Tim (December 2, 2014). "Breaking News: The Suicide Squad is Cast!". DC Comics. Archived from the original on July 14, 2015. Retrieved July 14, 2015. ^ a b c Trumbore, Dave (July 11, 2015). "Suicide Squad Cast Reveals First Trailer At Comic-Con". Collider. Archived from the original on July 12, 2015. Retrieved July 12, 2015. ^ Eckstein, David (July 11, 2015). "'Suicide Squad' Cast Rolls Into Comic-Con After All". HitFix. Archived from the original on July 12, 2015. Retrieved July 12, 2015. ^ a b Topel, Fred (January 7, 2015). "Viola Davis Talks Amanda Waller in 'Suicide Squad'". nerdreport.com. Retrieved February 19, 2015. ^ a b c d e f g h i j de Semlyen, Nick (December 2015). "Superbad". Empire. pp. 64–73. ^ "Suicide Squad - Boomerang Promo Clip". YouTube. July 16, 2016. Retrieved August 4, 2016. ^ a b Sneider, Jeff (March 31, 2015). "Adewale Akinnuoye-Agbaje to Play Killer Croc in WB's 'Suicide Squad' (Exclusive)". TheWrap. Retrieved March 31, 2015. ^ "A.R.G.U.S." Warner Bros. Retrieved January 5, 2018. ^ a b c d "'Suicide Squad': First Cast Photo Revealed". Variety. April 8, 2015. Archived from the original on June 26, 2015. Retrieved July 12, 2015. ^ Setoodeh, Ramin (September 6, 2016). "How Shia LaBeouf Stopped Drinking and Found the Career He Wanted". Variety. ^ Woods, John (April 9, 2015). "Adam Beach to play DC Comics villain Slipknot in new film". Winnipeg Free Press. ^ a b Truitt, Brian (January 10, 2016). "2016 brings Batman, Superman and the 'Dawn' of a new superhero universe". USA Today. Retrieved January 10, 2016. ^ Kit, Borys (July 28, 2016). "'Suicide Squad' Adds Key DC Character Weeks Before Release". The Hollywood Reporter. Retrieved July 28, 2016. ^ Reilly, Luke. "Another Major DC Character to Appear in 'Suicide Squad'". IGN.com. ^ Vejvoda, Jim (August 5, 2016). "Suicide Squad's Mysterious Second Villain, Incubus, Revealed". IGN. Retrieved August 8, 2016. ^ Kit, Borys (April 22, 2015). "Common Joins 'Suicide Squad' (Exclusive)". The Wrap. Retrieved April 27, 2015. ^ Jayson, Jay. "Alex Meraz & David Harbour Join Suicide Squad; Viola Davis' Amanda Waller Haircut". ComicBook.com. Retrieved April 29, 2015. ^ Kroll, Justin. "'Twilight' Actor Joins 'Suicide Squad'". Variety. Retrieved April 27, 2015. ^ Burlingame, Russ. "Suicide Squad's Jim Parrack Seemingly Confirmed As Johnny Frost". Comicbook.com. ^ Ahearn, Victoria (August 2, 2016). "Canadian Shailyn Pierre-Dixon on playing Deadshot's daughter in 'Suicide Squad'". Winnipeg Free Press. Retrieved August 2, 2016. ^ Mcnary, Dave. "Warner Bros. sets up 'Suicide Squad'". Variety. Retrieved September 18, 2016. ^ "Warner Bros. Circling David Ayer for DC Comics' 'Suicide Squad' (Exclusive)". Variety. September 19, 2014. Retrieved September 19, 2014. ^ Kit, Borys. "Scribe In for 'Suicide Squad' Pact". The Hollywood Reporter. February 25, 2009. ^ de Semlyen, Phil (October 20, 2014). "David Ayer Talks DC's Suicide Squad". Empire. Retrieved October 21, 2014. ^ a b Masters, Kim (August 3, 2016). "'Suicide Squad's' Secret Drama: Rushed Production, Competing Cuts, High Anxiety". The Hollywood Reporter. Retrieved August 16, 2016. ^ Lesnick, Silas (October 15, 2014). "Suicide Squad Targets Ryan Gosling, Will Smith, Margot Robbie and Tom Hardy!". ComingSoon.net. Retrieved October 16, 2014. ^ Sneider, Jeff (November 7, 2014). "Jared Leto Eyed to Play The Joker in WB's 'Suicide Squad'". TheWrap. Retrieved November 8, 2014. ^ Sneider, Jeff (December 2, 2014). "Will Smith, Tom Hardy, Jared Leto, Margot Robbie Set for 'Suicide Squad'". thewrap.com. Retrieved February 19, 2015. ^ Kroll, Justin (December 2, 2014). "'Suicide Squad' Cast Revealed: Jared Leto to Play the Joker, Will Smith is Deadshot". Variety. Retrieved February 19, 2015. ^ Renaud, Jeffrey (December 5, 2014). ""Suicide Squad" Creator Weighs In on Film Casting, Concept". Comic Book Resources. Archived from the original on December 31, 2014. Retrieved December 9, 2014. ^ Collura, Scott (January 15, 2015). "Tom Hardy Drops Out of Suicide Squad". IGN. ^ Kroll, Justin (January 21, 2015). "'Suicide Squad': Jake Gyllenhaal Passes on Rick Flag Role". Variety. Retrieved May 17, 2015. ^ Kroll, Justin (January 21, 2015). "Jake Gyllenhaal Passes on 'Suicide Squad'". Variety. Retrieved January 21, 2015. ^ Fanai, Amy (February 17, 2017). "Will This Controversial Actor Actually Be Directing Suicide Squad 2?". QuirkyByte. ^ Sneider, Jeff; Ge, Linda (February 13, 2015). "Joel Kinnaman to Replace Tom Hardy as Rick Flag in WB's 'Suicide Squad'". The Wrap. ^ Sneider, Jeff (February 18, 2015). "Jay Hernandez Joining Will Smith, Jared Leto in WB's 'Suicide Squad' (Exclusive)". thewrap.com. Retrieved February 19, 2015. ^ etalk [@etalkCTV] (February 24, 2015). "VIDEO - @violadavis confirms to @BenMulroney she'll play Amanda Waller in #SuicideSquad shooting in Toronto! #etalk" (Tweet). Retrieved March 2, 2015 – via Twitter. ^ Buffery, Steve. "Olubowale's back and ready to rumble with Ruddock". Toronto Sun. Retrieved March 30, 2015. ^ etalk [@etalkCTV] (March 29, 2015). "#Breaking - @ScottEastwood confirms to #etalk he's been in Toronto working on #SuicideSquad. More to come tomorrow" (Tweet). Retrieved March 30, 2015 – via Twitter. ^ "Suicide Squad Will Officially Start Filming April 13th". DC Comics Movie. March 27, 2015. Retrieved April 8, 2015. ^ Ayer, David [@DavidAyerMovies] (April 13, 2015). "Day 1 #SuicideSquad" (Tweet). Retrieved April 13, 2015 – via Twitter. ^ Christine (April 24, 2015). "'Suicide Squad' filming locations in Toronto on April 26 & 27". On Location Vacations. Retrieved April 26, 2015. ^ Christine (April 29, 2015). "'Suicide Squad' is filming a "snowstorm" scene in Toronto tonight". On Location Vacations. Retrieved May 2, 2015. ^ "Entertainment City: 'Suicide Squad'". News1130. May 6, 2015. Retrieved May 17, 2015. ^ Perry, Spencer (August 24, 2015). "Production Wraps on Suicide Squad Movie". ComingSoon.net. Retrieved November 16, 2015. ^ Ayer, David [@DavidAyerMovies] (August 28, 2015). "It's a wrap folks! #SuicideSquad #WarnerBros #DCcomics" (Tweet). Retrieved November 16, 2015 – via Twitter. ^ a b D'Alessandro, Anthony (August 8, 2016). "'Suicide Squad' $133.6M Opening Breaks August Record To Push Warner Bros. Past $1B Domestic – Monday Final". Deadline Hollywood. Retrieved August 8, 2016. ^ "Suicide Squad 'Justice League' Cameo Scene". August 7, 2016. Retrieved August 7, 2016. ^ Ayer, David [@DavidAyerMovies] (June 24, 2016). "Squad is completed! Finished final mix and coloring. Now it's off to the lab and then the world. Nothing like it out there. It.Is.a.Beast" (Tweet) – via Twitter. ^ McClendon, Lamarco (August 5, 2016). "'Suicide Squad': Jared Leto Addresses How Many Joker Scenes Were Cut". Variety. Retrieved August 31, 2016. ^ Flesch, Eli (August 4, 2016). "'Suicide Squad': Jared Leto Teases Joker Scenes That Were Cut From the Movie". The Hollywood Reporter. Retrieved August 31, 2016. ^ Osborn, Alex (August 16, 2016). "Joker Actor Jared Leto Reportedly Feels He Was "Tricked" Into Suicide Squad". IGN. Retrieved January 3, 2017. ^ Porter, Matt (August 8, 2016). "Suicide Squad: Jared Leto Says He Shot Enough Joker Material for a Whole Movie, Lobbied for R Rating". IGN. Retrieved January 3, 2017. ^ "Behind The Scenes Look At Suicide Squad Scoring Session". comicbook.com. Archived from the original on May 30, 2016. ^ Burlingame, Russ (July 16, 2016). "Suicide Squad Official Score Tracklist Revealed". Comicbook.com. Retrieved July 19, 2016. ^ Jayson, Jay (June 16, 2016). "Suicide Squad Movie Soundtrack Revealed". Comicbook.com. Retrieved June 28, 2016. ^ a b Kaufman, Gil (June 17, 2016). "'Suicide Squad' Soundtrack: Skrillex & Rick Ross, Panic! at the Disco Cover 'Bohemian Rhapsody' & More". Billboard. Retrieved June 22, 2016. ^ Sonis, Rachel (June 22, 2016). "Twenty One Pilots Hang In A Prison For "Heathens" Video: Watch". Idolator. Retrieved June 22, 2016. ^ "Skrillex teases 'Purple Lamborghini' music video". Instagram. ^ "Will Smith And Margot Robbie On The Red Carpet At The London Premiere Of Suicide Squad". Ikon London Magazine. August 4, 2016. Retrieved February 23, 2018. ^ Fleming, Jr., Mike (July 12, 2015). "Will Comic Con Leaks Of 'Suicide Squad' And 'Deadpool' Stop Studios From Showing Exclusive Footage?". Deadline Hollywood. Retrieved July 19, 2015. ^ Fleming, Jr., Mike (July 13, 2015). "Warner Bros Releases 'Suicide Squad' Footage After Being Frustrated By Comic Con Pirates". Deadline Hollywood. Retrieved July 19, 2015. ^ @SuicideSquadWB (October 5, 2016). "#SuicideSquad Extended Cut. Spread the word" (Tweet). Retrieved May 6, 2017 – via Twitter. ^ Couch, Aaron (October 5, 2016). "'Suicide Squad' Extended Cut to Be Released After All". The Hollywood Reporter. Retrieved October 5, 2016. ^ Carpenter, Nicole (October 5, 2016). "SUICIDE SQUAD EXTENDED CUT COMING TO BLU-RAY". IGN. Retrieved October 5, 2016. ^ a b Scott Mendelson (September 26, 2016). "'Suicide Squad': Warner Bros. Did Everything Right Except Make A Good Movie". Forbes. Retrieved September 26, 2016. ^ Brooks Barnes (August 7, 2016). "Making 'Suicide Squad' a Smash, Despite Withering Reviews". The New York Times. Retrieved August 9, 2016. ^ Tartaglione, Nancy (August 18, 2016). "'Suicide Squad' Shoots Past $500M At Worldwide Box Office". Retrieved August 19, 2016. ^ Scott Mendelson (August 7, 2016). "Box Office: 'Suicide Squad' Nabs Huge $267M Global Debut". Forbes. Retrieved August 7, 2016. ^ a b c d e f Anthony D'Alessandro (August 7, 2016). "'Suicide Squad' Opening Weekend Now At $135.1M – Early Sunday AM Update". Deadline Hollywood. Retrieved August 7, 2016. ^ Pamela McClintock (August 7, 2016). "Box Office: 'Suicide Squad' Opens to Big $135M But Drops Sharply Saturday". The Hollywood Reporter. Retrieved August 7, 2016. ^ Fleming Jr, Mike (March 27, 2017). "No. 10 'Suicide Squad' Box Office Profits – 2016 Most Valuable Movie Blockbuster Tournament". Deadline Hollywood. Retrieved March 27, 2017. ^ "Box Office: 'Suicide Squad' Tracking for Enormous $125M U.S. Debut". The Hollywood Reporter. July 14, 2016. Retrieved July 14, 2016. ^ "'Suicide Squad' Gunning For August & Will Smith Opening Records – Box Office". Deadline Hollywood. ^ Busch, Anita (July 31, 2016). "'Bourne' Gets His $60M; 'Moms' Purses Mid-$20M; 'Nerve' Steady – Box Office Sunday AM". Deadline Hollywood. Retrieved July 31, 2016. ^ Brevet, Brad (July 31, 2016). "'Jason Bourne' Tops Weekend with $60M; 'Star Trek Beyond' Suffers Big Second Weekend Drop". Box Office Mojo. Retrieved August 1, 2016. ^ McClintock, Pamela (August 2, 2016). "Box-Office Preview: Can 'Suicide Squad' Best 'Deadpool' in U.S. Debut?". The Hollywood Reporter. Retrieved August 3, 2016. ^ Brad Brevet (August 4, 2016). "'Suicide Squad' Set for August Opening Record Despite Negative Reviews". Box Office Mojo. Retrieved August 5, 2016. ^ Scott Mendelson (August 6, 2016). "Box Office: 'Suicide Squad' Scores Insane $65M Friday". Forbes. Retrieved August 7, 2016. ^ Pamela McClintock and Rebecca Ford (August 5, 2016). "Box Office: 'Suicide Squad' Rockets to $20.5M Thursday Night". The Hollywood Reporter. Retrieved August 5, 2016. ^ Scott Mendelson (August 5, 2016). "'Suicide Squad' Breaks First Box Office Record With $20.5M Thursday". Forbes. Retrieved August 5, 2016. ^ a b Scott Mendelson (August 7, 2016). "Box Office: 'Suicide Squad' Scores Record-Crushing, But Front-Loaded, $135M Weekend". Forbes. Retrieved August 7, 2016. ^ Brad Brevet (August 7, 2016). "'Suicide Squad' Shoots Down August Record with $135 Million Opening". Box Office Mojo. Retrieved August 8, 2016. ^ "Weekend Index – Aug 5 - 7, 2016". Box Office Mojo. Retrieved August 8, 2016. ^ a b Scott Mendelson (August 11, 2016). "'Suicide Squad': 4 Reasons Its Box Office Blowout Is Good News". Forbes. Retrieved August 12, 2016. ^ Anthony D'Alessandro (August 9, 2016). "'Suicide Squad' Secures Record Monday Haul For August, Eyes $51M-$54M In 2nd Weekend – B.O. Preview". Deadline Hollywood. Retrieved August 10, 2016. ^ Scott Mendelson (August 9, 2016). "Box Office: 'Suicide Squad' Scores Solid $13M Monday For $146M In Total Earnings". Forbes. Retrieved August 10, 2016. ^ Anthony D'Alessandro (August 10, 2016). "'Suicide Squad' Super Tuesday Not Only An August Record, But Also Beats 'Civil War'". Deadline Hollywood. Retrieved August 10, 2016. ^ Scott Mendelson (August 10, 2016). "Box Office 'Suicide Squad' Tops 'X-Men: Apocalypse' In Five Days". Forbes. Retrieved August 10, 2016. ^ "Box Office: 'Suicide Squad' Ends First Week With $179.1M In Cumulative Earnings". Retrieved August 13, 2016. ^ Scott Mendelson (August 13, 2016). "Friday Box Office: 'Suicide Squad' Plunges 79%, Holding No Better Than 'Batman V Superman'". Forbes. Retrieved August 13, 2016. ^ Scott Mendelson (August 14, 2016). "Box Office: 'Suicide Squad' Tumbles 67% For $43.77M Weekend". Forbes. Retrieved August 14, 2016. ^ Pamela McClintock (August 14, 2016). "Weekend Box Office: 'Sausage Party' Feasts on $33.6M; 'Pete's Dragon' Flounders". The Hollywood Reporter. Retrieved August 14, 2016. ^ Pamela McClintock (August 15, 2016). "Box-Office Analysis: 'Suicide Squad' and the Summer of Steep Second-Week Drops". The Hollywood Reporter. Retrieved August 15, 2016. ^ Pamela McClintock (August 28, 2016). "Weekend Box Office: 'Don't Breathe' Terrorizes Rivals With Winning $26.1M Debut". The Hollywood Reporter. Retrieved August 28, 2016. ^ Scott Mendelson (September 4, 2016). "Box Office: 'Don't Breathe' Tops, 'Suicide Squad' Near $300M, 'Star Trek Beyond' Nabs $30M In China". Forbes. Retrieved September 4, 2016. ^ Anthony D'Alessandro (September 4, 2016). "'Don't Breathe' Still Has Oxygen, 'Suicide Squad' Seizes $300M+, 'Morgan' D.O.A. : Labor Day Weekend B.O. – Sunday Update". Deadline Hollywood. Retrieved September 4, 2016. ^ Scott Mendelson (September 5, 2016). "Box Office: How 'Deadpool' Created Pie-In-The-Sky Expectations For 'Suicide Squad'". Forbes. Retrieved September 6, 2016. ^ Scott Mendelson (October 2, 2016). "Box Office: 'Sully' Tops $100M, 'Suicide Squad' Exits Top Ten, 'Magnificent Seven' Stumbles". Forbes. Retrieved October 2, 2016. ^ a b Nancy Tartaglione (September 18, 2016). "'Bridget Jones's Baby' Bows To $30M; 'Suicide Squad' Powers Past $400M – Intl Box Office". Deadline Hollywood. Retrieved September 19, 2016. ^ a b Busch, Anita; Tartaglione, Nancy (August 2, 2016). "'Suicide Squad' Will Rock August As 'Nine Lives' Cozies Up To Family Audience – Box Office Preview". Deadline Hollywood. Retrieved August 3, 2016. ^ Lang, Brent (August 2, 2016). "Box Office: Can 'Suicide Squad' Survive Bad Reviews for Record-Breaking Weekend?". Variety. Retrieved August 3, 2016. ^ a b c d Nancy Tartaglione (August 4, 2016). "'Suicide Squad' Pummels $29.6M In Two Days Overseas – International Box Office". Deadline Hollywood. Retrieved August 4, 2016. ^ a b c d e Nancy Tartaglione (August 8, 2016). "'Suicide Squad's Offshore Bow Rises To $133.3M Topping 'Deadpool' Comp – Intl Box Office Hot Actuals". Deadline Hollywood. Retrieved August 9, 2016. ^ a b Nancy Tartaglione (August 14, 2016). "'Suicide Squad' Rounds Up $243M Overseas & $465M Global Cumes; 'Pets' Prancing To $600M WW – Intl Box Office". Deadline Hollywood. Retrieved August 14, 2016. ^ a b Nancy Tartaglione (August 22, 2016). "Universal Pictures 'Pets' Collars $674M WW; 'Suicide Squad' Necks $575M Through Sunday – Intl B.O. Final". Deadline Hollywood. Retrieved August 24, 2016. ^ Sonia Kil (August 7, 2016). "Korea Box Office: 'Princess' Reigns Over Weekend, 'Squad' Opens Third". Variety. Retrieved August 8, 2016. ^ Charles Gant (August 9, 2016). "Crime pays: DC's Suicide Squad tops UK box office with £11.25m". The Guardian. Retrieved August 9, 2016. ^ Don Groves (August 7, 2016). "Indian Box Office: 'Dishoom' Stays Strong As 'Suicide Squad' Takes Top Spot Ahead Of 'Jason Bourne'". Forbes. Retrieved August 8, 2016. ^ a b Anita Busch (September 13, 2016). "'Sully' Flies Higher In Offshore Debut; 'Suicide Squad' Squashes $700M WW – International Box Office Final". Deadline Hollywood. Retrieved September 14, 2016. ^ Mark Schilling (September 12, 2016). "Japan Box Office: 'Your Name' Heads for Huge Success". Variety. Retrieved September 14, 2016. ^ Scott Mendelson (August 14, 2016). "Box Office: 'Suicide Squad' Tops $465 Million Worldwide". Forbes. Retrieved August 14, 2016. ^ a b Cabin, Chris (January 22, 2017). "David Ayer Pens Message About 'Suicide Squad' Reception & The Joker's Role". Collider. Retrieved May 5, 2017. ^ a b Khatchatourian, Maane (August 3, 2016). "'Suicide Squad' Director Responds to Negative Reviews". Variety. Retrieved January 3, 2017. ^ "'Suicide Squad' Cast Responds to Negative Reviews: "Critics Have Been Absolutely Horrific"". The Hollywood Reporter. August 4, 2016. Retrieved August 5, 2016. ^ "Suicide Squad (2016)". Rotten Tomatoes. Fandango. Retrieved March 30, 2019. ^ "Suicide Squad Reviews". Metacritic. CBS Interactive. Retrieved August 5, 2016. ^ Travers, Peter. "'Suicide Squad' Review: DC Bad Guys' Movie is Anything but Super". Rolling Stone. Retrieved August 2, 2016. ^ Lawson, Richard. "Suicide Squad Isn't Even the Good Kind of Bad". Vanity Fair. Retrieved August 2, 2016. ^ Morgenstern, Joe (August 4, 2016). "'Suicide Squad' Review: Weapon of Mass Depression - A team of DC Comics bad guys takes on worse guys in this summer extravaganza". The Wall Street Journal. Retrieved August 5, 2016. ^ a b Nashawaty, Chris. "Suicide Squad: EW review". Entertainment Weekly. Retrieved August 2, 2016. ^ Yehl, Joshua (August 2, 2016). "The DCEU strikes out with Task Force Meh". IGN. Retrieved August 3, 2016. ^ McWeeny, Drew (August 2, 2016). "Review: 'Suicide Squad' won't save the world, but it just might save DC". HitFix. Retrieved August 3, 2016. ^ Truitt, Brian (August 2, 2016). "Review: 'Suicide Squad' finds sincerity in insanity". USA Today. Retrieved August 3, 2016. ^ "Review: Harley Quinn's star is born amid sloppy 'Suicide Squad'". August 5, 2016. Retrieved August 5, 2016. ^ Post, David Betancourt The Washington. "Harley Quinn could be 2016's most popular movie character". Retrieved August 5, 2016. ^ "Harley Quinn steps up to plate in 'Suicide Squad'". August 4, 2016. Archived from the original on August 5, 2016. Retrieved August 5, 2016. ^ Goodman, Jessica (July 31, 2016). "Teen Choice Awards 2016: See the full list of winners". Entertainment Weekly. Retrieved August 4, 2016. ^ "THE 89TH ACADEMY AWARDS 2017". Academy of Motion Picture Arts and Sciences. February 26, 2017. Retrieved February 26, 2017. ^ Kroll, Justin (March 2, 2016). "Will Smith, David Ayer Reteaming on Max Landis Spec 'Bright'". Variety. Archived from the original on September 29, 2016. Retrieved May 7, 2017. ^ a b c Kit, Borys (December 13, 2016). "David Ayer, Margot Robbie Reteam for All-Female DC Villains Movie 'Gotham City Sirens' (Exclusive)". The Hollywood Reporter. Archived from the original on July 13, 2017. Retrieved May 9, 2017. ^ a b "Warner Bros. is Developing Harley Quinn vs The Joker Spinoff". July 21, 2017. Archived from the original on June 25, 2018. Retrieved October 4, 2018. ^ "Harley Quinn Rumored To Be Getting Her Own DC Trilogy". CINEMABLEND. January 18, 2019. Retrieved March 7, 2019. ^ "Rumor: Warner Bros Exploring 'Harley Quinn' Trilogy: 'Birds Of Prey'; 'Gotham City Sirens'; 'Birds Of Prey v Gotham City Sirens'". thegww.com. January 17, 2019. Retrieved March 7, 2019. ^ "Harley Quinn Trilogy Rumored To Be In The Works". DC. Retrieved March 7, 2019. ^ "Todd Stashwick Talks '12 Monkeys', 'Kim Possible', 'Suicide Squad 2 & More. (EXCLUSIVE)". September 15, 2018. Archived from the original on September 20, 2018. Retrieved October 4, 2018. ^ Sandy Schaefer (December 11, 2017). "Suicide Squad 2 Production Start Set for 2018". Screen Rant. Archived from the original on December 18, 2017. Retrieved December 16, 2017. ^ Marc, Christopher (August 18, 2018). "UPDATE: WILL SMITH SETS PRODUCTION SCHEDULES FOR BAD BOYS FOR LIFE AND BRIGHT 2 AS SUICIDE SQUAD 2 IS DELAYED". OmegaUnderground. TheGWW. Retrieved August 20, 2018. ^ Gonzalez, Umberto; Verhoeven, Beatrice (October 9, 2018). "James Gunn in Talks to Write Suicide Squad 2 for DC, Eyed to Direct (Exclusive)". TheWrap. Archived from the original on October 9, 2018. Retrieved October 9, 2018. ^ Prasad, R.A (October 11, 2018). "Suicide Squad 2: Director Zack Snyder & Geoff Johns Reportedly On Producer Team". PursueNews. Archived from the original on October 25, 2018. Retrieved October 11, 2018. ^ D'Alessandro, Anthony (January 30, 2019). "Warner Bros. Release Dates Galore: 'Doctor Sleep' Checks In This November, 'The Witches' Oct. 2020; 'The Suicide Squad' Returns In 2021". Deadline Hollywood. Retrieved January 30, 2019. ^ Kit, Borys (January 30, 2019). "James Gunn in Talks to Direct 'Suicide Squad' Sequel (Exclusive)". The Hollywood Reporter. Retrieved January 30, 2019. ^ Hughes, Mark (February 13, 2019). "Why The Future Of DCEU Movies Looks Brighter Than Ever (Updated)". Forbes. Archived from the original on February 28, 2019. Retrieved February 28, 2019. ^ Pountain, David (March 6, 2019). "Idris Elba in Talks to Replace Will Smith in 'Suicide Squad' Sequel (Exclusive)". The Hollywood Reporter. Retrieved March 6, 2019. ^ Shirey, Paul (March 16, 2019). "Ex. Shazam! producer talks James Gunn on both The Suicide Squad & GOTGv3". JoBlo. Retrieved March 16, 2019. ^ D'Alessandro, Anthony (February 27, 2019). "Will Smith Will Not Return As Deadshot In James Gunn's 'Suicide Squad 2'". Deadline Hollywood. Archived from the original on February 27, 2019. Retrieved February 27, 2019. ^ Pountain, David (February 28, 2019). "Viola Davis Returning For James Gunn's Suicide Squad Sequel". We Got This Covered. Retrieved February 28, 2019. ^ Couch, Aaron; McClintock, Pamela (January 30, 2019). "'The Batman,' 'The Suicide Squad' Set 2021 Release Dates". The Hollywood Reporter. Retrieved January 30, 2019. ^ Mancuso, Vinnie (January 30, 2019). "James Gunn to Direct 'Suicide Squad 2′ for Warner Bros". Collider. Retrieved January 30, 2019. ^ Guerrasio, Jason (March 29, 2019). "Jai Courtney says he will be back playing Captain Boomerang in the James Gunn 'Suicide Squad' movie". Business Insider. Retrieved March 29, 2019. ^ Kroll, Justin; Kroll, Justin (April 5, 2019). "'The Suicide Squad': Deadshot Removed from Sequel as Idris Elba Moves to New Character (EXCLUSIVE)". Variety. Retrieved April 5, 2019. ^ Fisher, Jacob (April 5, 2019). "Joel Kinnaman Set To Reprise His Role In James Gunn's 'The Suicide Squad' (EXCLUSIVE)". Discussing Film. Retrieved April 5, 2019. ^ Kit, Borys (May 16, 2016). "Harley Quinn Movie in the Works at Warner Bros. With Margot Robbie (Exclusive)". The Hollywood Reporter. Archived from the original on May 17, 2016. Retrieved June 17, 2018. ^ "Mark Hughes on Twitter". Retrieved October 4, 2018. ^ "The Harley Quinn Spinoff Might Be an "R-Rated Girl Gang Film," Says Margot Robbie". May 8, 2018. Archived from the original on June 11, 2018. Retrieved October 4, 2018. ^ "Director David Ayer Debunks Rumors Suggesting 'Gotham City Sirens' Is Dead". Archived from the original on September 29, 2018. Retrieved October 4, 2018. ^ "Suicide Squad Director Meets With Gotham City Sirens Creator". August 2, 2018. Archived from the original on September 29, 2018. Retrieved October 4, 2018. ^ Stowe, Dusty (September 19, 2017). "Margot Robbie Praises Joker & Harley Quinn Movie Directors". ScreenRant. Archived from the original on October 12, 2018. Retrieved October 4, 2018. ^ "Joker and Harley Quinn Movie Coming from 'Crazy Stupid Love' Filmmakers (Exclusive)". Archived from the original on October 8, 2018. Retrieved October 4, 2018. ^ "The Joker and Harley Quinn spin-off's writers talk us through their 'deranged' mash-up of 'Bad Santa' and 'This Is Us'". September 20, 2018. Archived from the original on September 26, 2018. Retrieved October 4, 2018. ^ Brian Barnett (February 14, 2019). "Jared Leto's Joker Followups Reportedly Shelved". IGN. Retrieved April 4, 2019. Wikimedia Commons has media related to Suicide Squad (film).